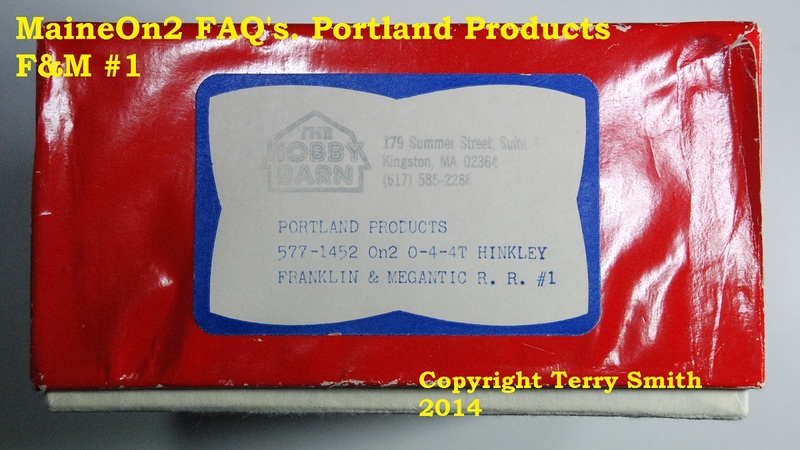 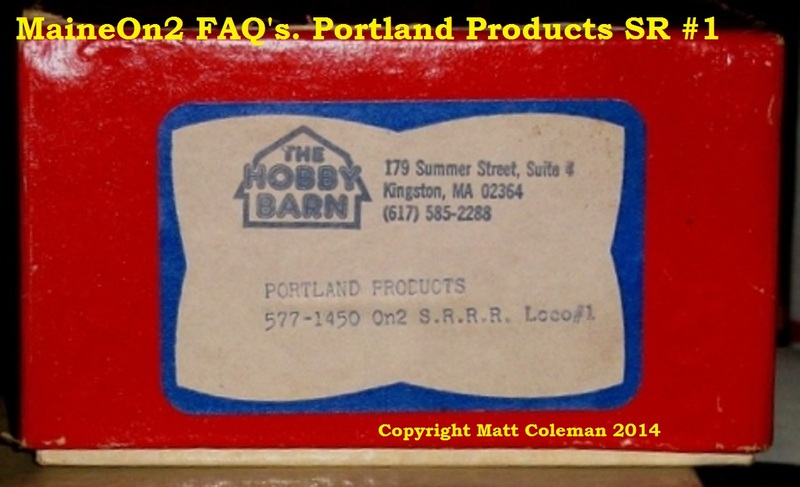 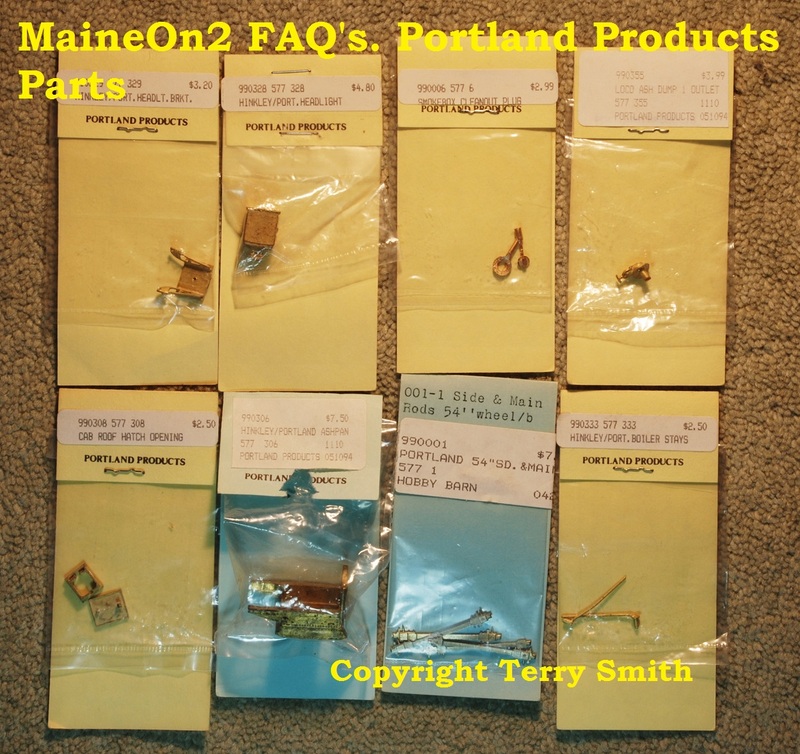 “with a little Yankee Ingenuity” is how Bob Werner introduced his Portland Products Parts in his first edition catalog published some time before 1984 from his Court Street, Plymouth, MA, premises. 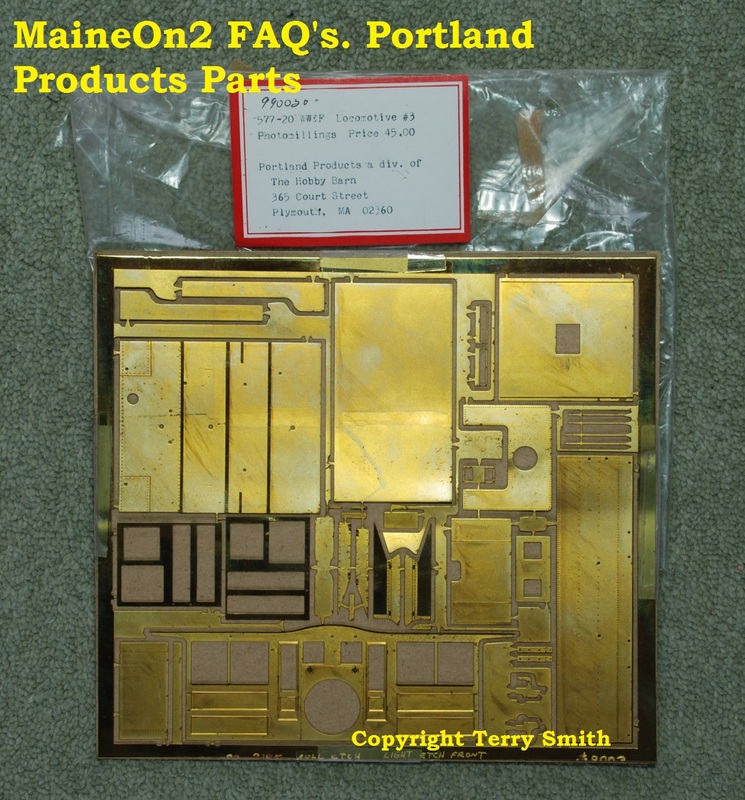 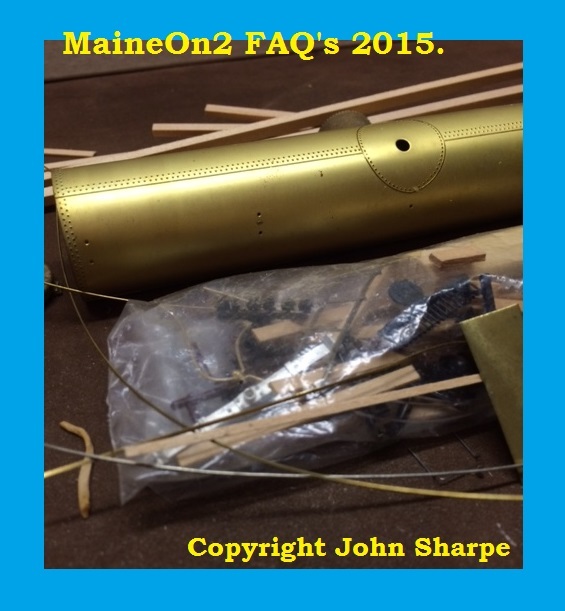 Bob was a trained machinist before becoming a hobby shop proprietor, and made available a number of specialised detail parts for modelling the Maine Two Footers in various materials including injection moulded plastic, white metal, brass and nickel silver. 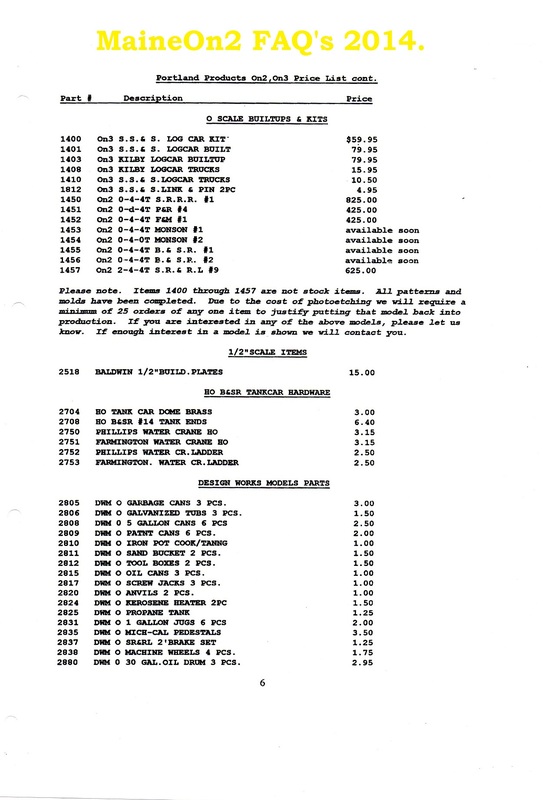 Bob sold his parts in bulk to other manufacturers and importers, as well as individual retail sales to modellers. 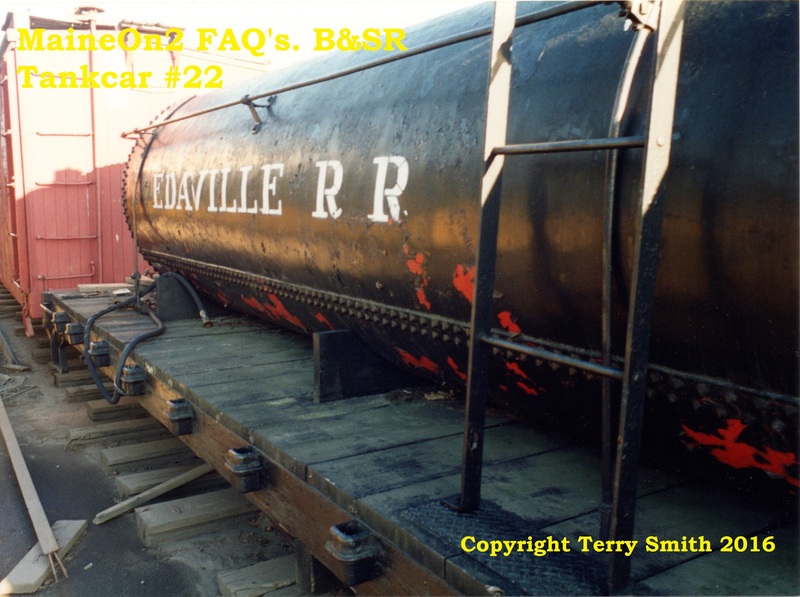 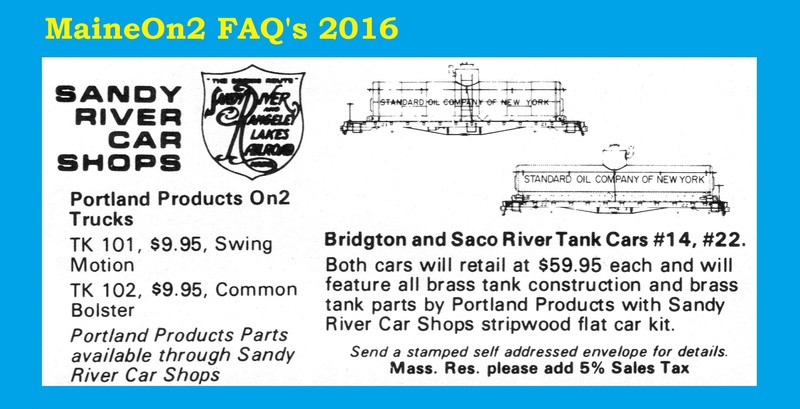 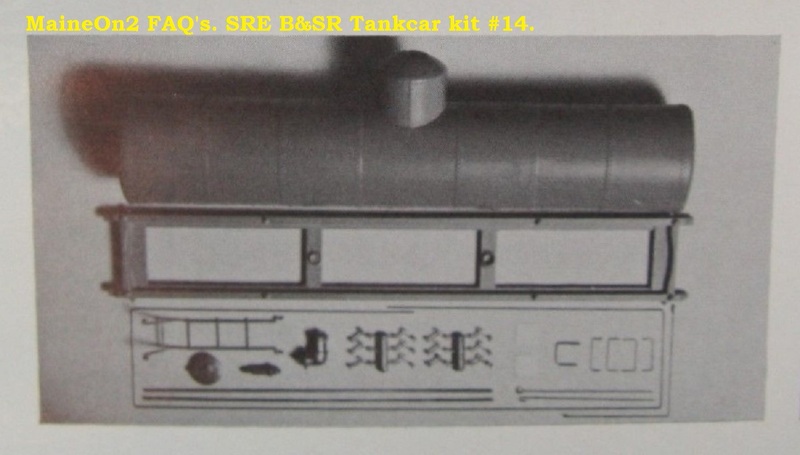 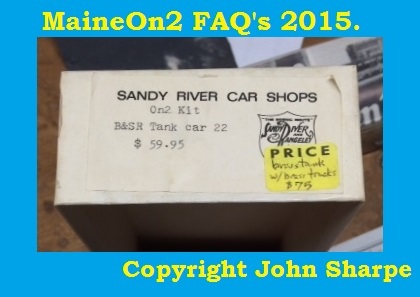 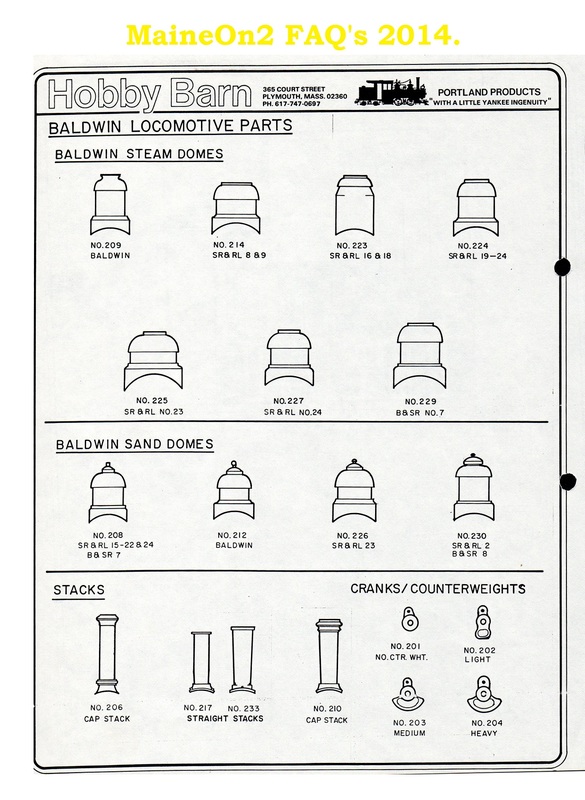 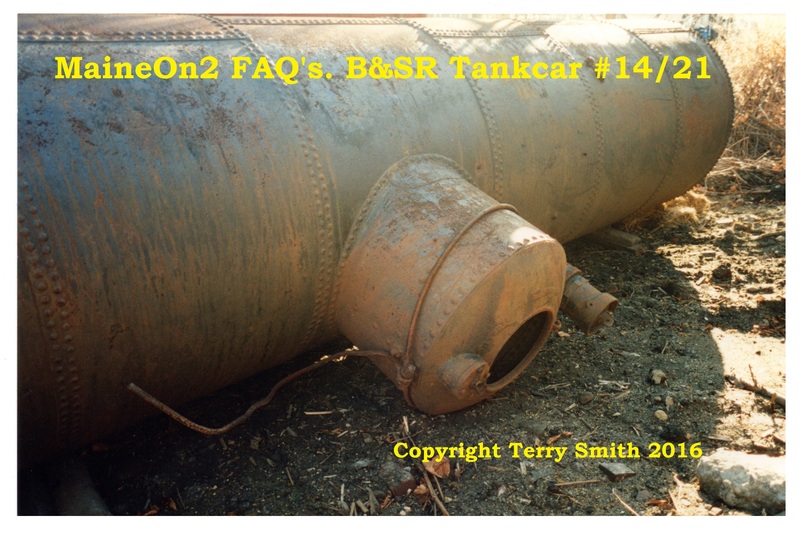 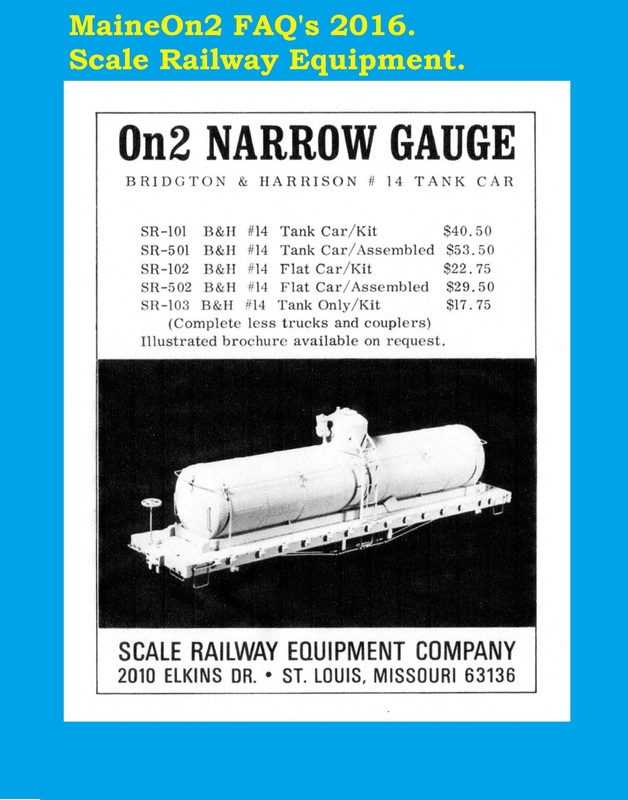 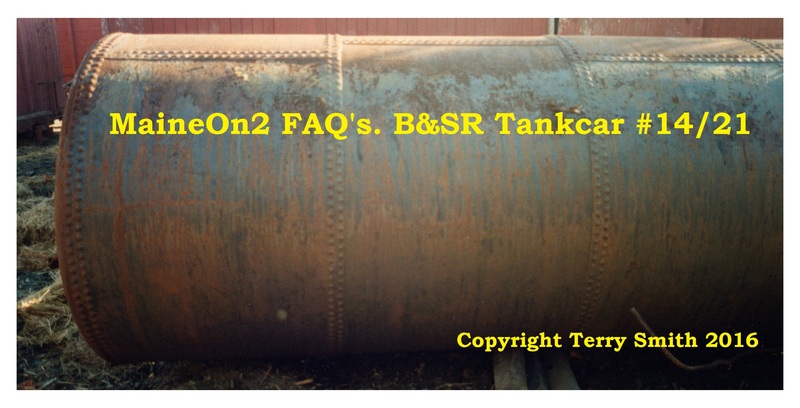 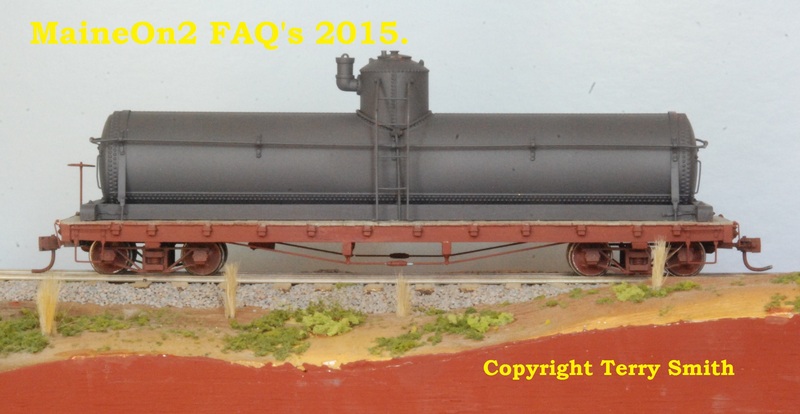 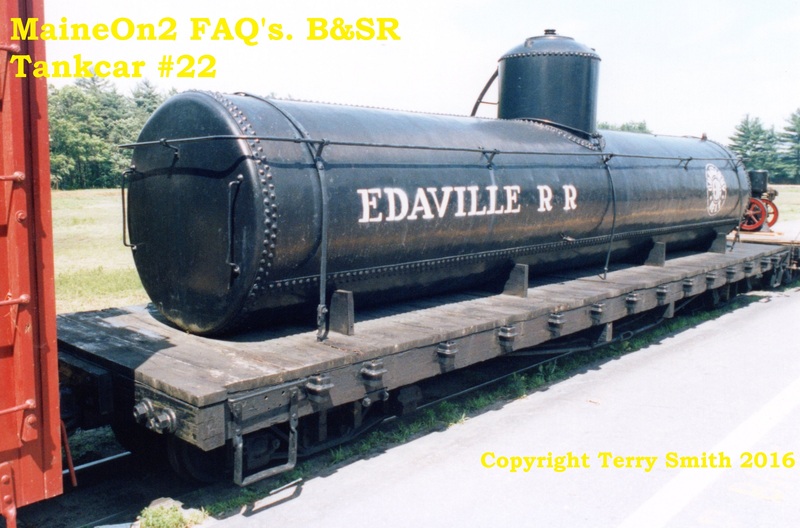 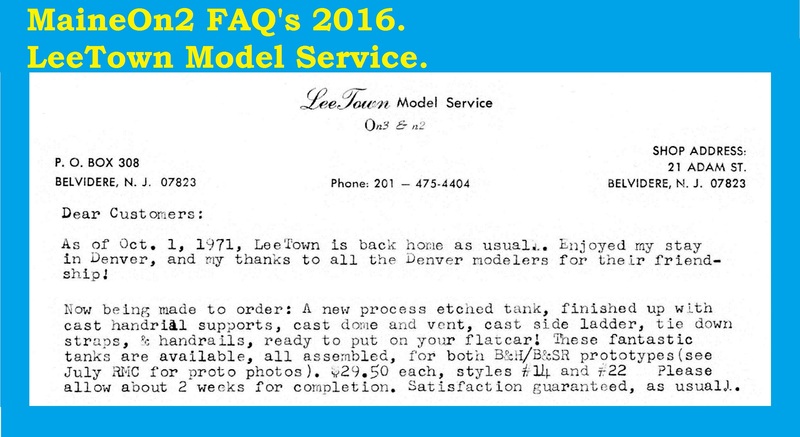 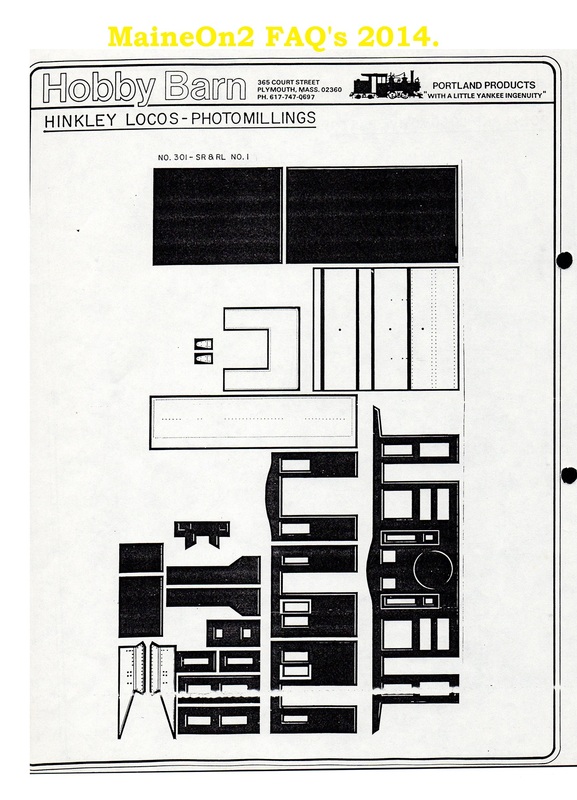 Click here to visit the posting showing made-up models of the Bridgton Tank Cars. 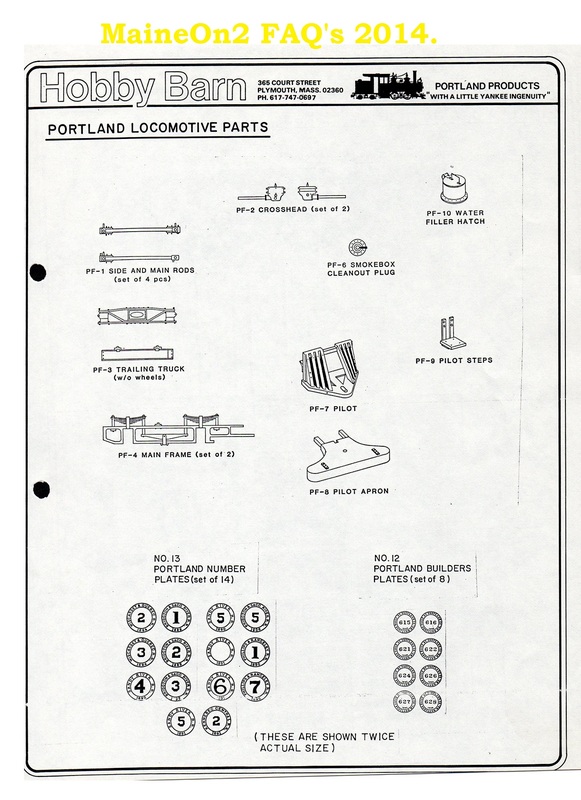 Above; a selection of Portland Products brass and nickel silver parts for the small Hinkley and Portland locomotives. 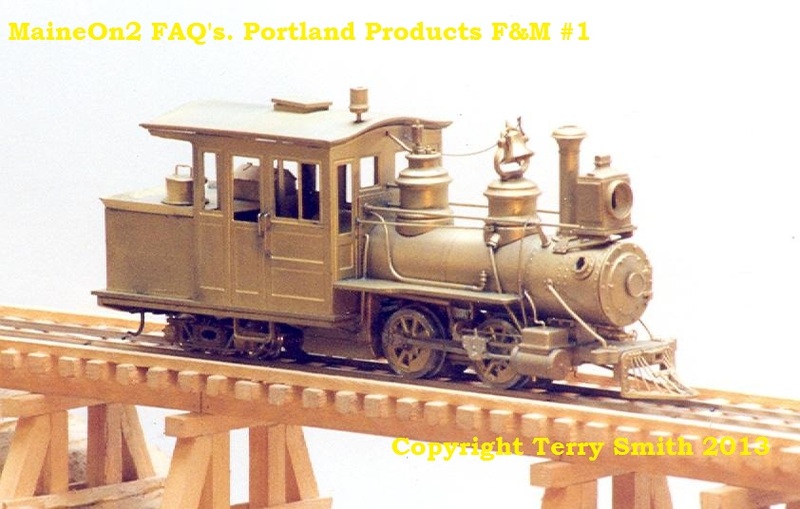 Above; a Portland Products photo-milling for WW&FR locomotive #3. 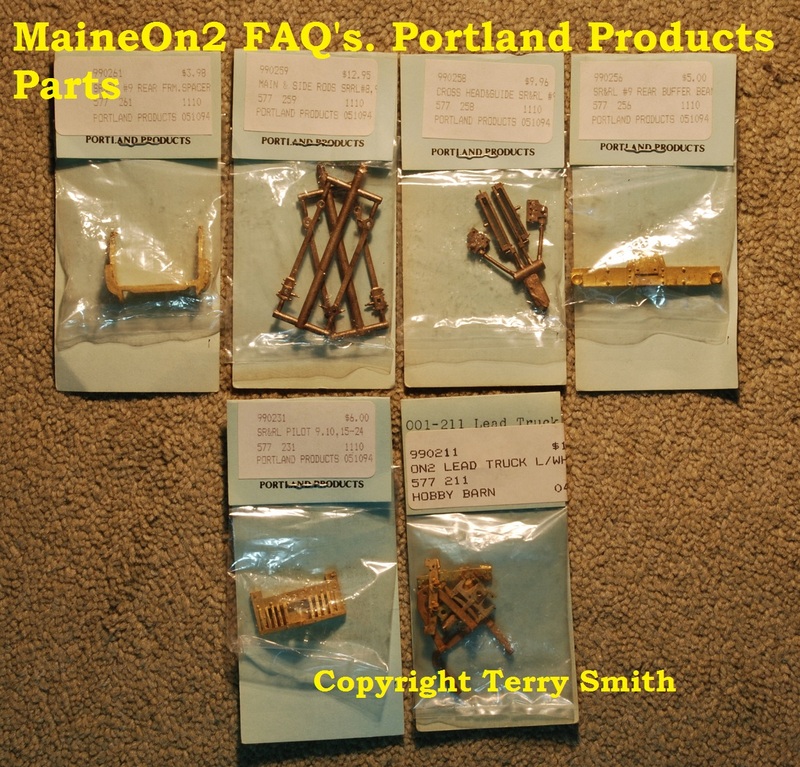 Above; a selection of Portland Products brass and nickel silver parts for SR&RL locomotive #9. 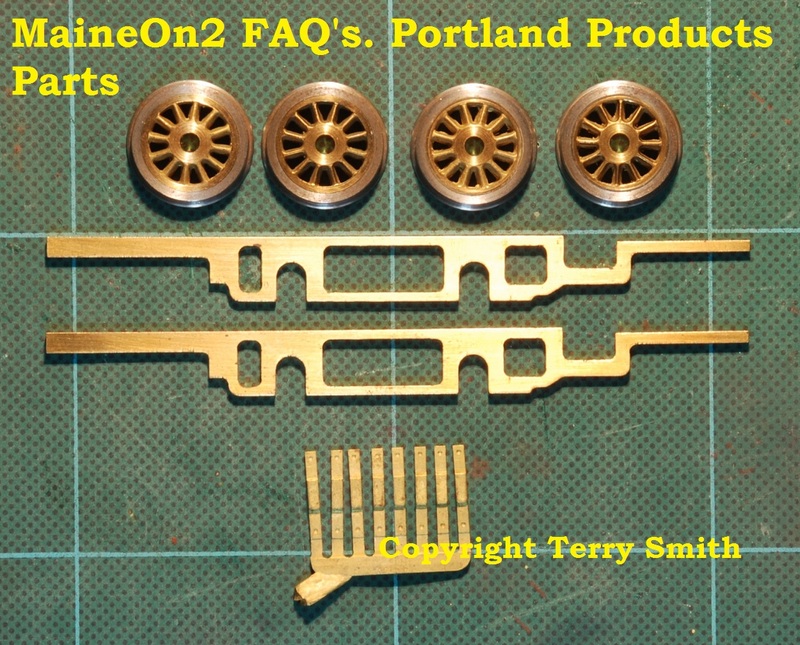 Above; some loose parts from Portland Products for the SR&RL locomotive #9; wheels, profile milled brass frames and investment cast keepers. 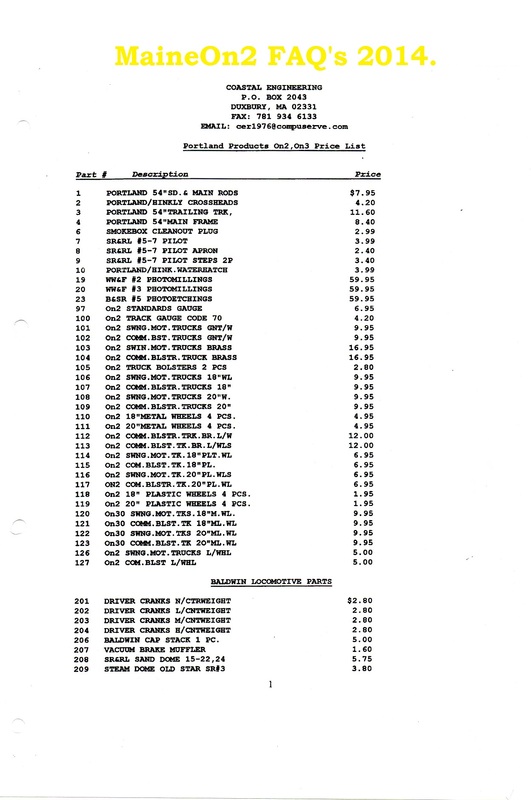 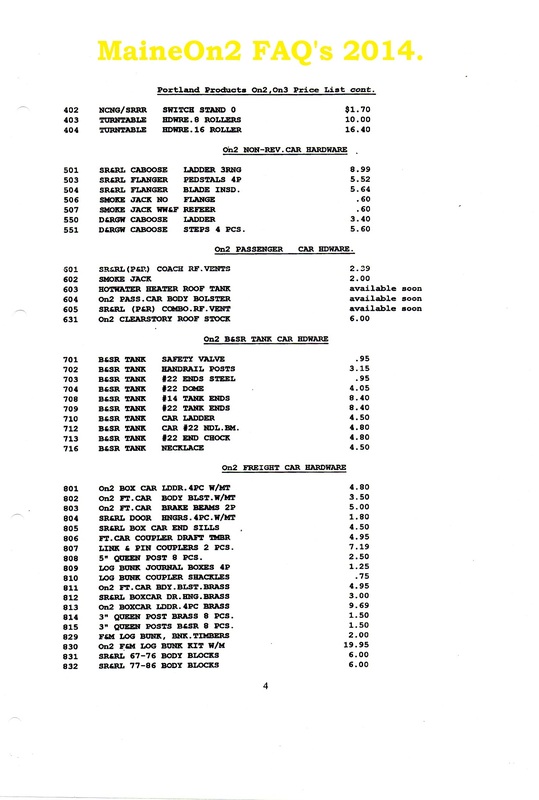 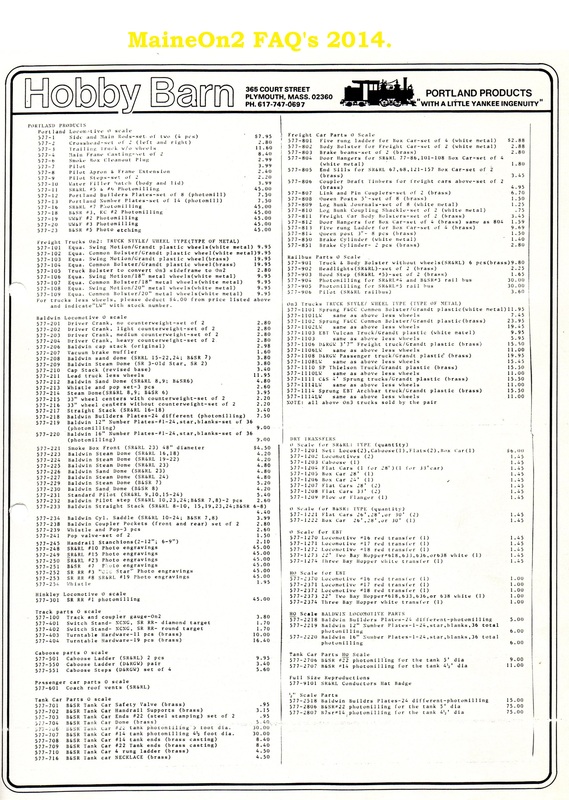 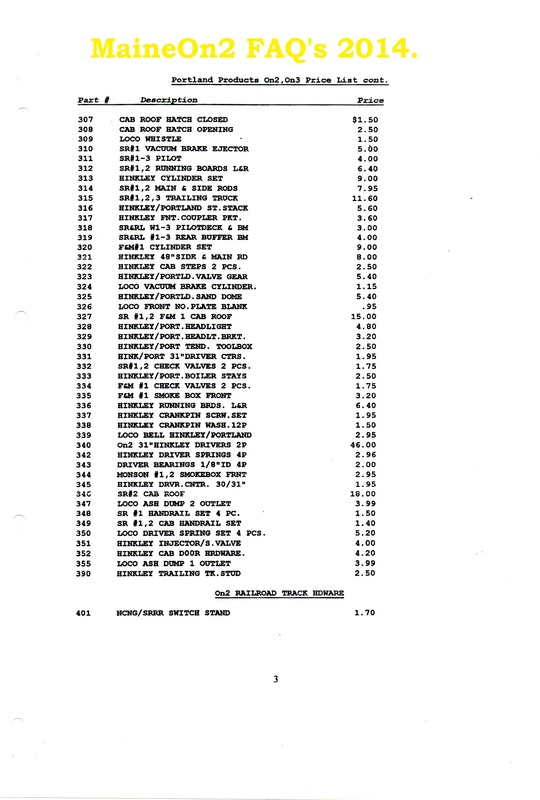 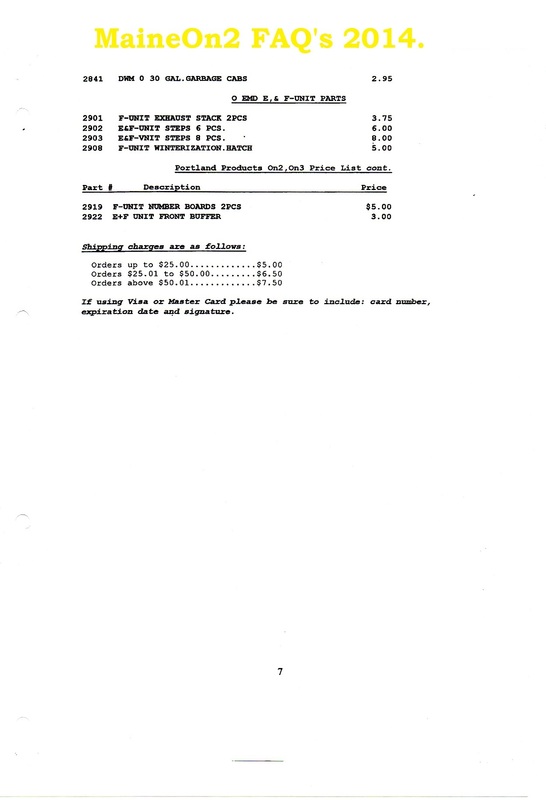 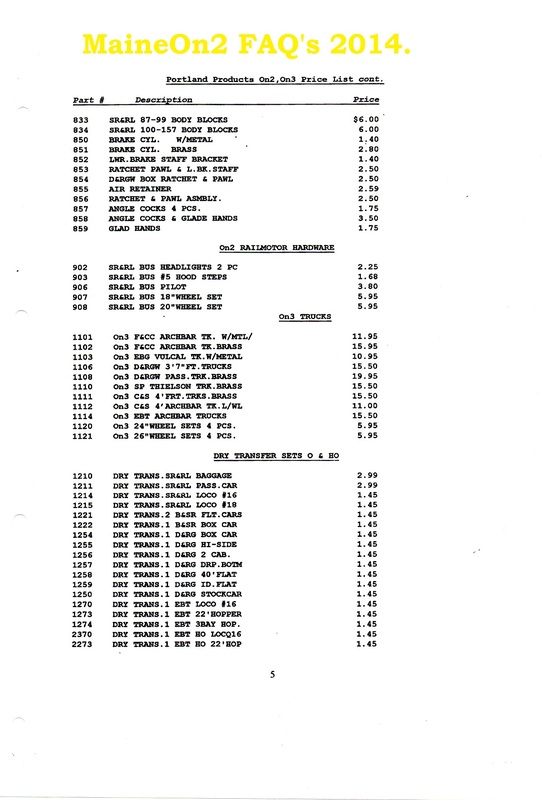 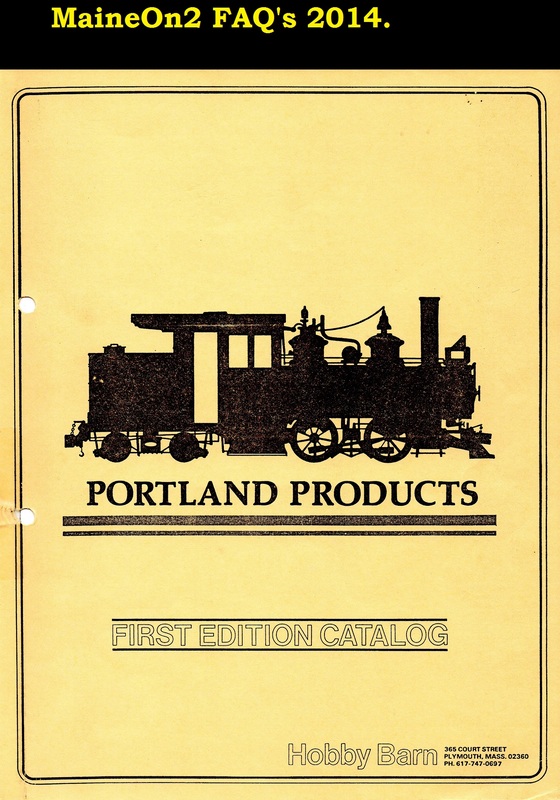 This price list was originally published in the mid 1990’s, and was a collaborative effort to re-introduce the Portland Products parts to the market legitimately in association with Bob Werner. 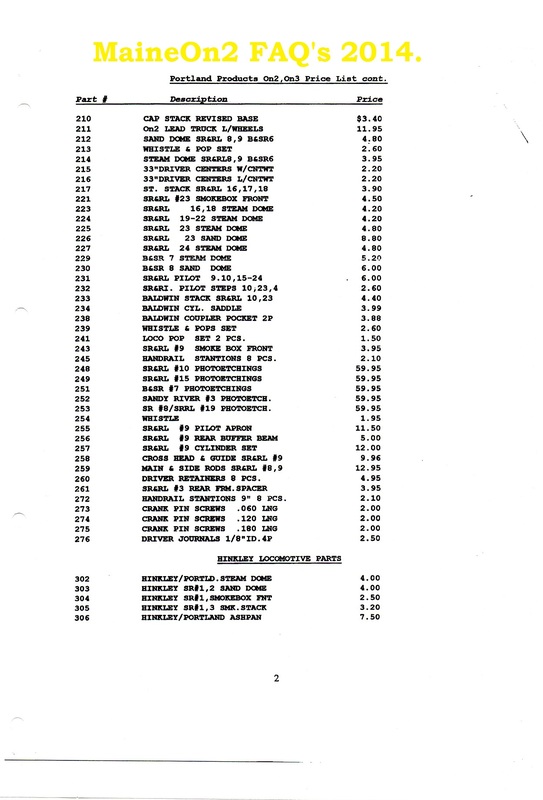 For unknown reasons, the venture broke down before many/any? 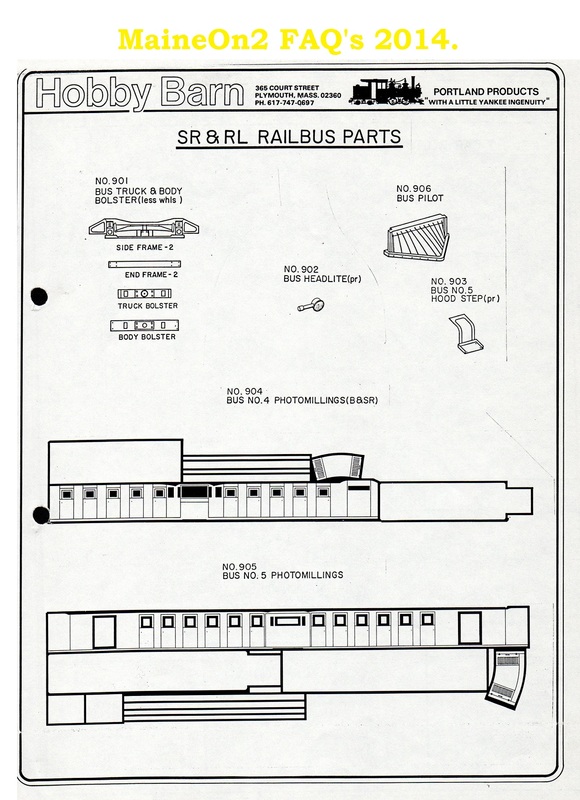 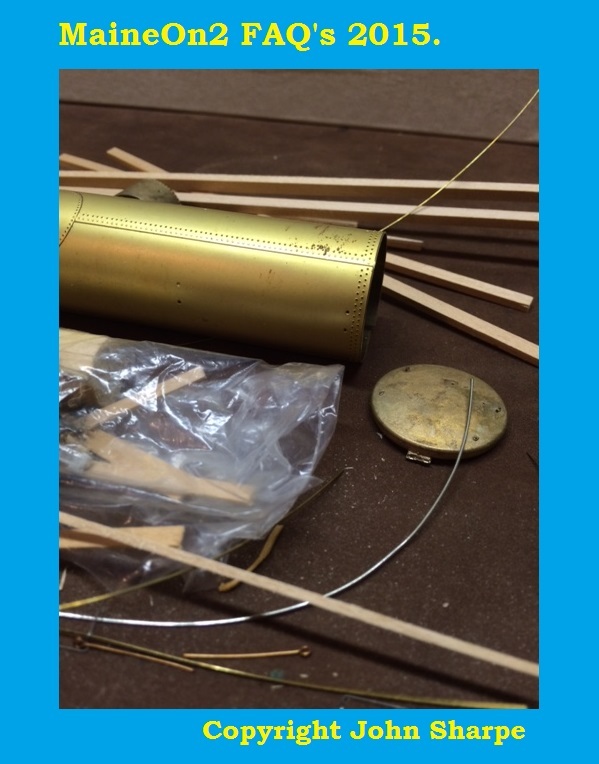 parts were produced. 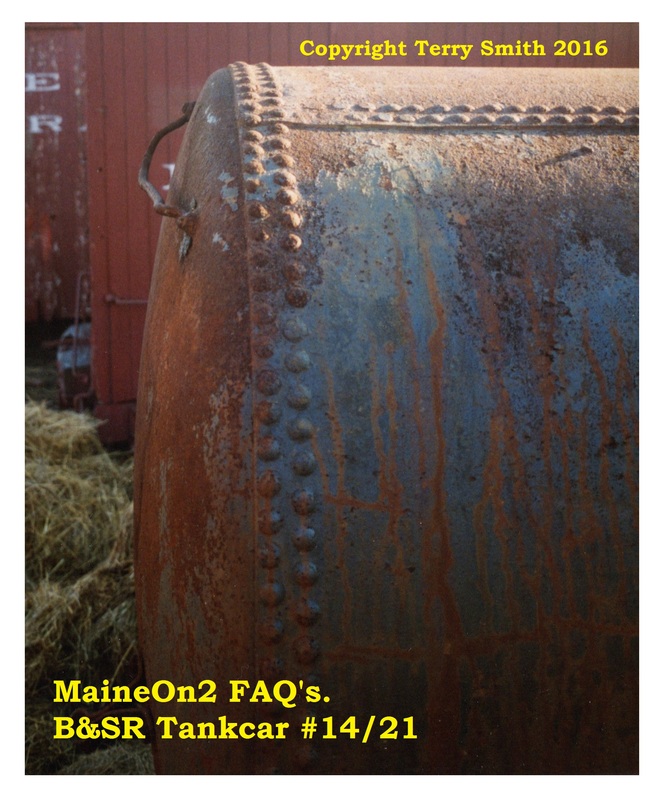 It is published here for historical purposes for interested viewers and enthusiasts only. 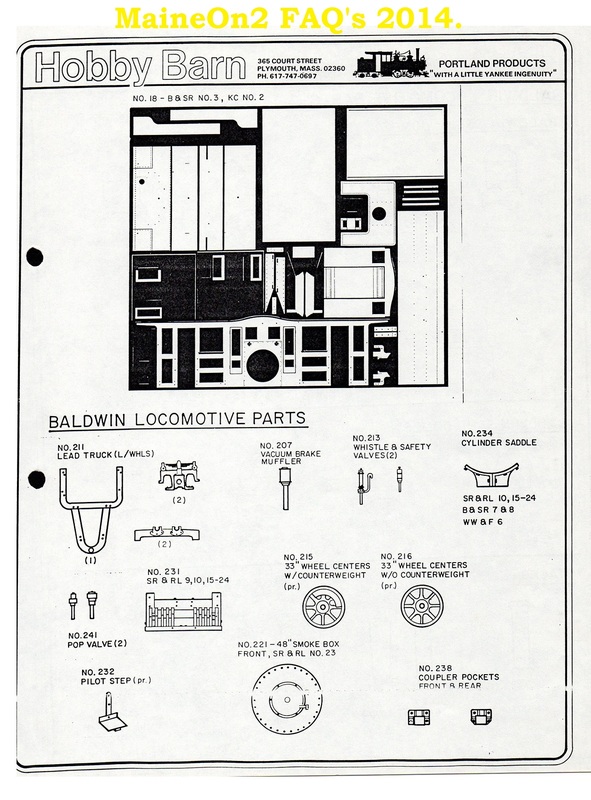 The section of page 6 dealing with “O scale built-ups and kits” and in particular the assembled locomotives #1450 to #1457, may be of particular interest to MaineOn2 modellers, as it may solve the mystery surrounding which loco’s were made as production items, and which were made as pilot models only. 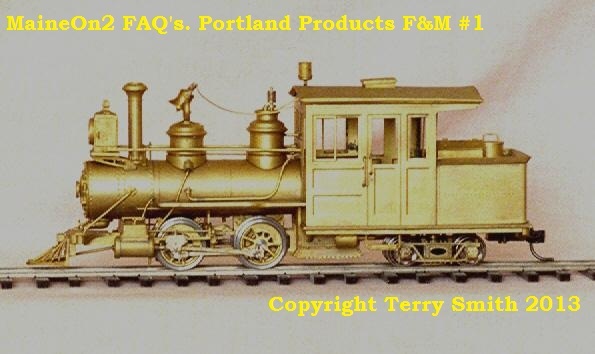 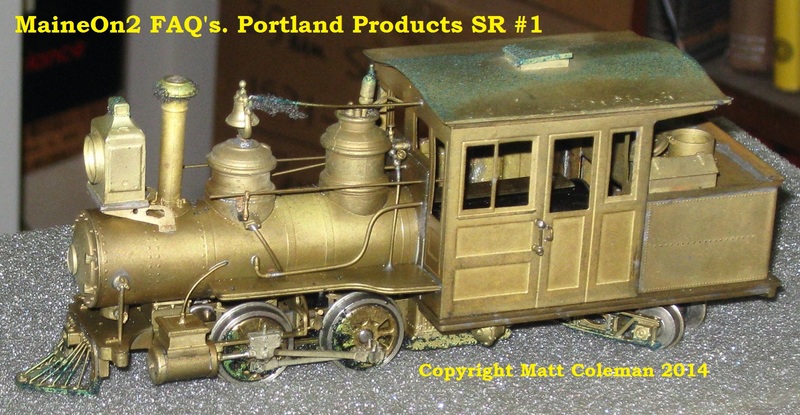 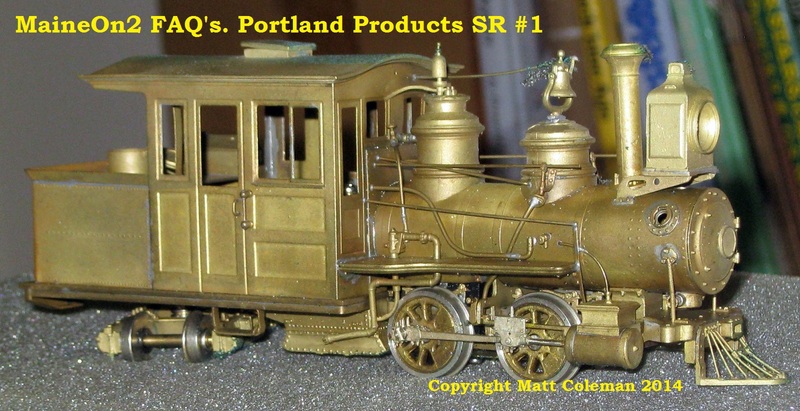 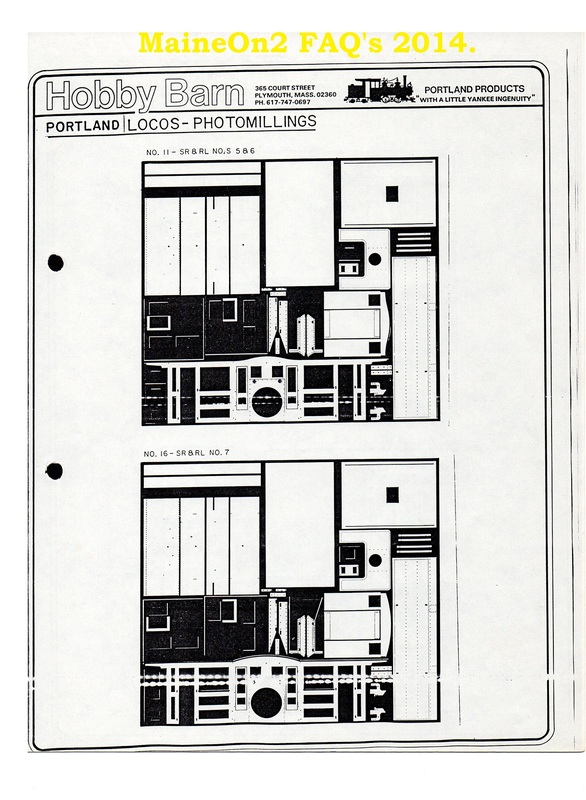 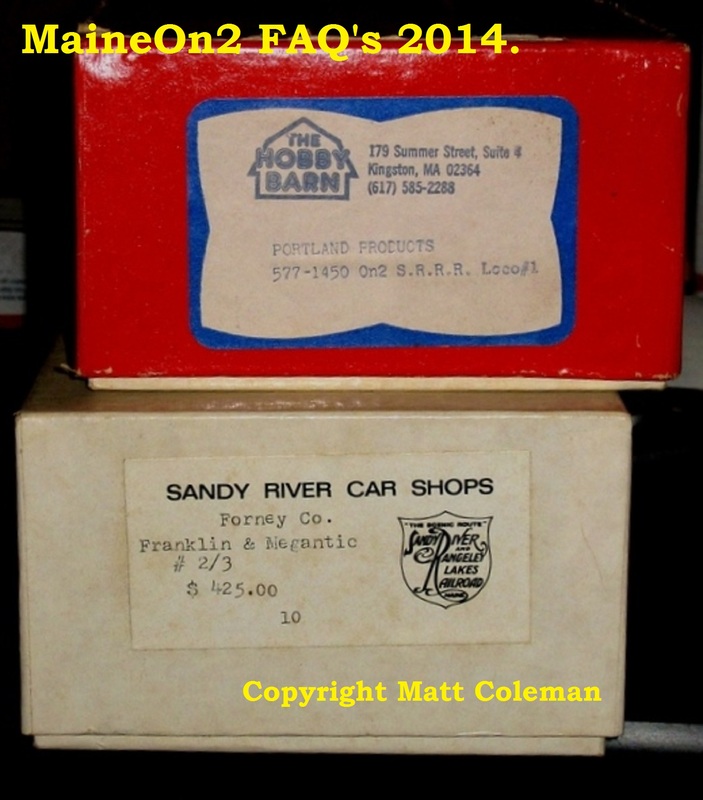 Click here to visit the posting about the Portland Products made up small Forney locomotive. 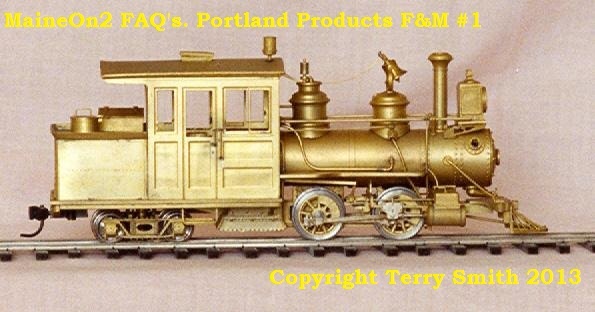 The model as purchased on a display shelf. 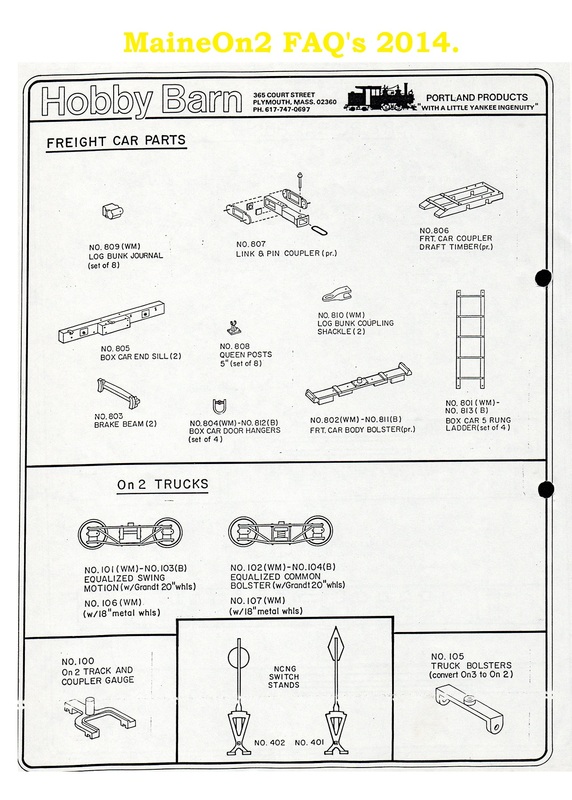 Underview showing the rear truck arrangement and extra pickups added by the owner. 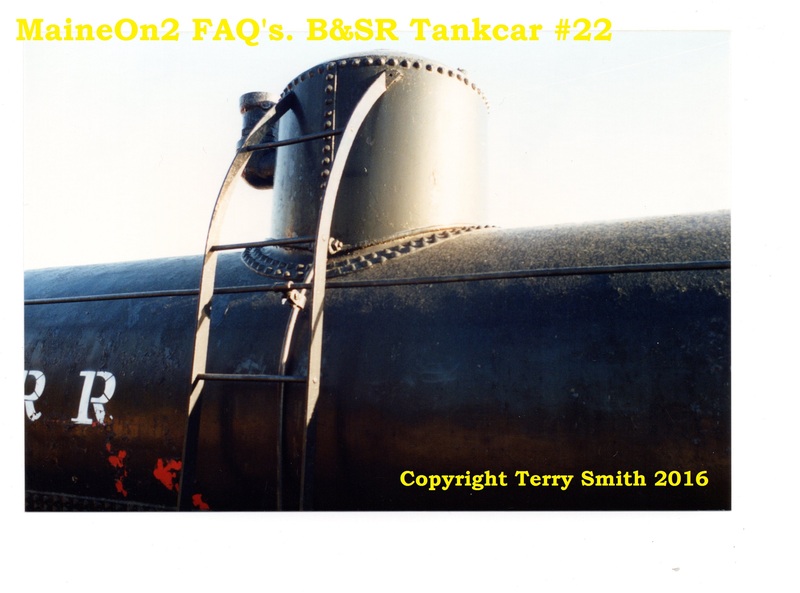 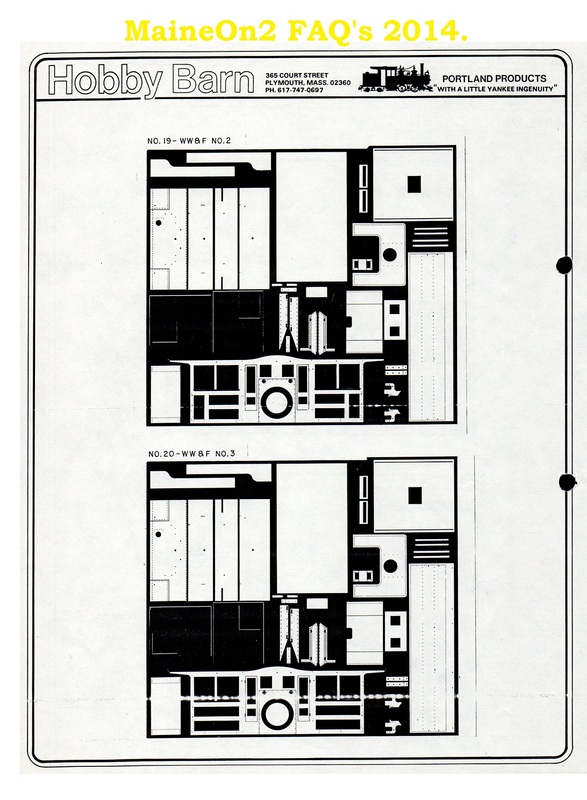 An interior view showing the plain sheet representing the firebox/backhead which partially obscures the motor. 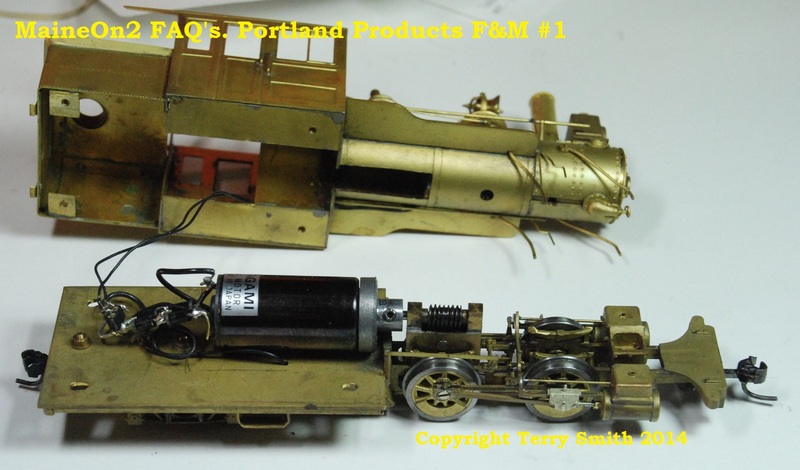 A view showing the drive arrangements, lead flywheel and gearbox. 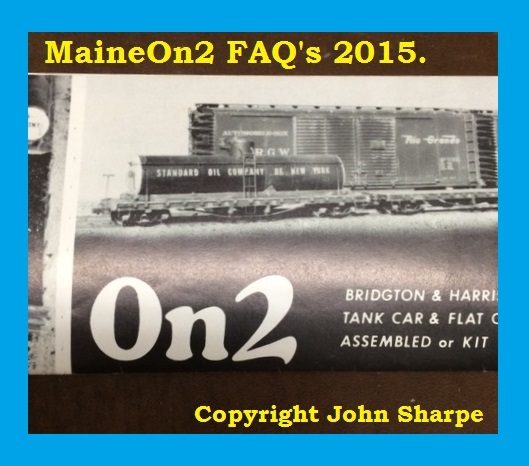 The diode network is an addition giving a constant 1.4 volt supply to the headlight bulb. 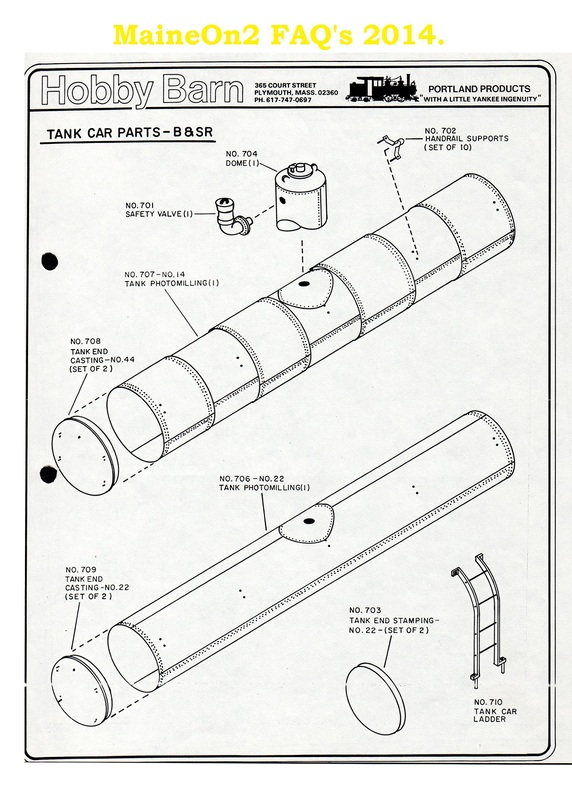 The sockets allow the headlamp leads to be separated from the chassis when required.